The November Faculty Mentor-in-Residence is Dr. John Sowa, Professor of Chemistry and Chair of the Division of Chemistry and Biological Sciences at Governors State University. Dr. Sowa will deliver a seminar on “Best Practices for an Academic Job Search”. Whether you are in the midst of the academic job search or are planning to jump into the race next year, this seminar is for you! Please reserve your seat through the RSVP Link. Aimed for postdoctoral scientists who are interested in pursuing academic careers, Prof. Sowa will share his experiences of being on the “searching” and the “hiring” side of an academic search. The presentation/discussion will include best practices for building an academic profile, applying for positions, interviewing, and starting an academic career. Attendees are encouraged to bring samples of their applications. John Sowa is Professor of Chemistry and Chair of the Division of Chemistry and Biological Sciences at Governors State University. His research interests are in the areas of organic and organometallic chemistry, homogeneous catalysis, stereochemistry, sustainability and environmental chemistry. He edited the 20th volume of Catalysis of Organic Reactions, has published 35 peer-reviewed articles, and is co-inventor on 3 U.S. Patents. He is a member of the ACS, AAAS and Sigma Xi. Prof. Sowa obtained his B.S. in Chemistry from Manhattan College. His Ph.D. was obtained from Iowa State University with Prof. Robert J. Angelici and he was a postdoctoral associate with Profs. Paul G. Gassman and Kent R. Mann at the University of Minnesota. His previous appointments include: Professor of Chemistry at Seton Hall University, Associate Scientific Director at Gibraltar Laboratories, and Visiting Scientist at The Scripps Research Institute. Prof. Sowa was a participant in the original Academic Career Workshop developed by Prof. Pete Carr at the University of Minnesota. 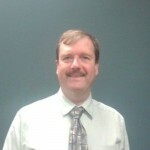 He has also served as panelist and a planning committee member for approximately a dozen Academic Career Workshops based on Carr’s original program.